In 2015, a year which marked the beginning of a new business adventure, Alex del Toro became musical director & resident DJ at ‘GU’, San Sebastian’s premier night life destination & since then, has gone about curating the club’s music policy from the ground up & raising the venue’s profile higher still. Alex also serves as official DJ at the San Sebastian International Film Festival, where he can be found performing on the red carpet & at the official after show parties. Subsequently, moving into music production was a natural progression for Alex del Toro & what better way to kick start this next chapter, than with a feel good, dancefloor friendly cut. 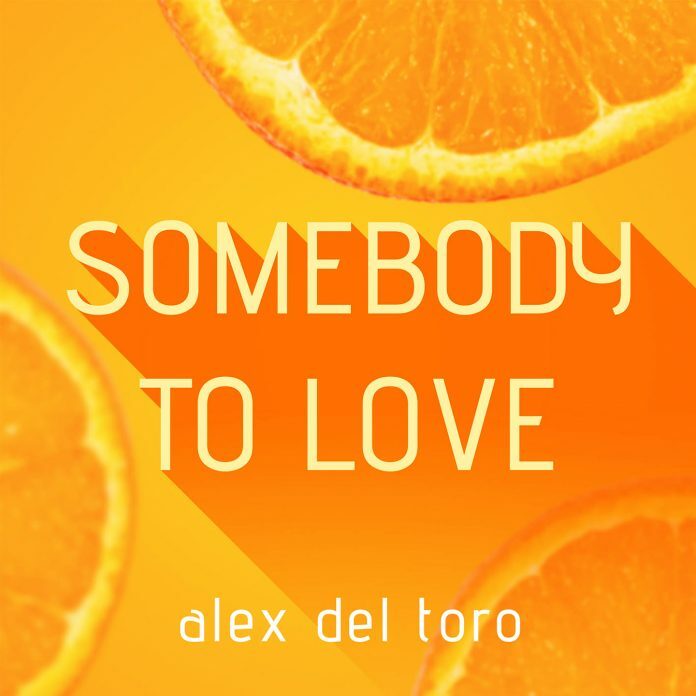 ‘Somebody To Love’ is a record that signals the sound of the summer & with it, Alex’s new mission of delivering vibes not only in the DJ box, but also in the studio. Working on the release in collaboration with world renowned artist HEREN, along with Alex Ubago & featuring vocals from NYC’s Duane Harden, U.S rising star Cam Daye has also lent his hand on remix duties. Musically, Alex del Toro is artistic, stylish & playful – finding himself adapting to any given environment & fusing varying styles of music in real time. This cohesion also carries over into ‘Somebody To Love’, with each of the remixes bringing their own take, whilst staying true to the single’s unique identity & vibe. With the Original set for forthcoming release, fans of the remixes from HEREN & Cam Daye will have to wait a little longer – with both set to drop towards the latter part of the year. In the meantime, promotion gets fully underway & global party hotspots & radio airwaves are ready for ‘Somebody To Love’. Alex, welcome to Artist Rack! What have you been up to lately? Hi guys! Right now, it’s summer in San Sebastian and I have a lot of gigs. I also try to enjoy my free time with my family and friends and I like to do a lot of sport to be in shape for the performances. Your new single ‘Somebody To Love’ is an uplifting track, what inspired you to produce the record? This song is very special for me. It is the first collaboration I produce with an artist that I admire and respect a lot. I’m talking about Alex Ubago. I was looking forward to working with him because he’s a wonderful composer and I knew we could bulk up together. Alex had an acoustic version of Somebody To Love and I started working on it. The test was amazing and this song joined us in a strong friendship and working relationship. With this song we’re working on many more projects together. Is there a particularly personal meaning behind the song? Love is all we got and ‘Somebody To Love’ talks about the universal language called Love and the human’s primary necessity of finding someone to love and be loved by. What was your favourite aspect about producing ‘Somebody To Love’? For me, the most special was the opportunity to work with internationally recognized artists such as Alex Ubago, Duane Harden and HEREN. The truth is that we have created a fantastic song. It has been a wonderful experience where I have learned a lot and I have grown professionally and personally. What would you describe your signature sound as? My sound is elegant, jovial and fun. I always try to adapt to any environment by fusing different styles of music together in real time. How’s your time been at ‘GU’ in San Sebastian, as musical director & resident DJ? The beginning was very hard. San Sebastian is a very small city and GU was a very demanding project and a project in which everyone wanted to be and participate. At the beginning we bet on many styles of music because in the city there are different styles of people with different musical tastes. The problem was that everyone wanted to be there and coexistence was impossible. People did not understand what GU was because one day there was an electronic party and the next day another EDM party. With a lot of effort and work and thanks to all my colleagues and djs, we bet on a single musical approach and nowadays we can say that GU is one of the referring clubs to party in the city with a loyal audience. GU for me is my home and it’s a club where I can develop myself as an artist and as a person and where I mix different styles of music. Do you have any inspirations/influences from fellow artists? And finally, what are your highlights of 2018 so far? For me, my best moment of the year 2018 was the day when Somebody To Love was published around the world. This song is a dream come true and the beginning of many important projects for me. Thank you very much guys for this interview and I hope we can meet you personally very soon. All the best!